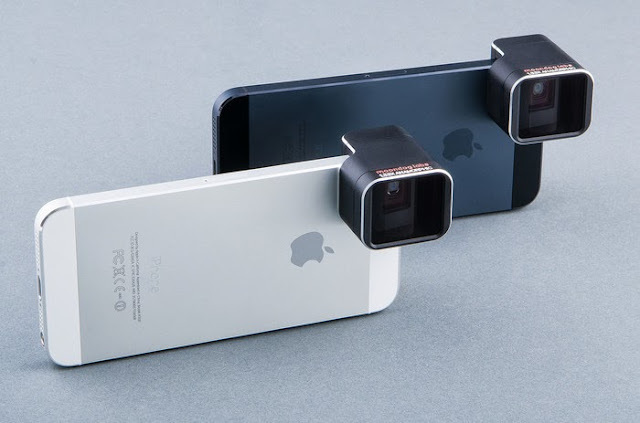 Collection of 'Innovative Camera and Smartphone Stabilizers' from all over the world. 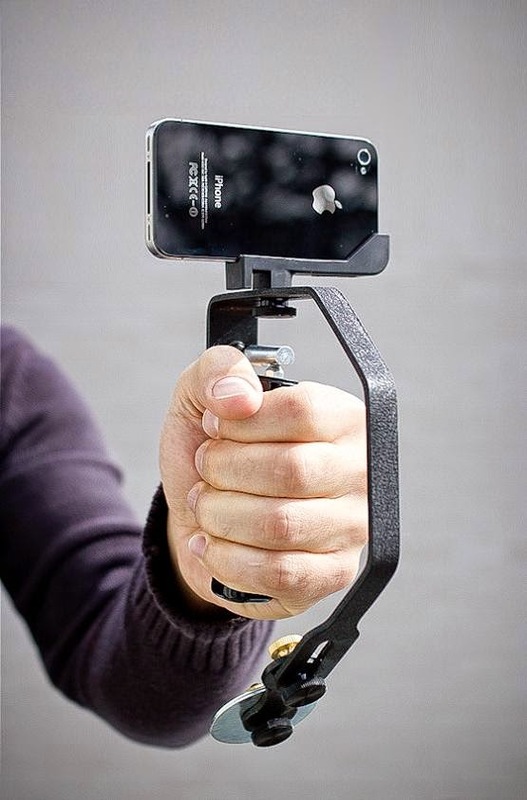 Picosteady Camera Stabilizer: Its a handheld stabilizer that you can use for taking professional-looking footage with a wide range of cameras, DSLR, GoPro cameras, iPhones or any smartphone. 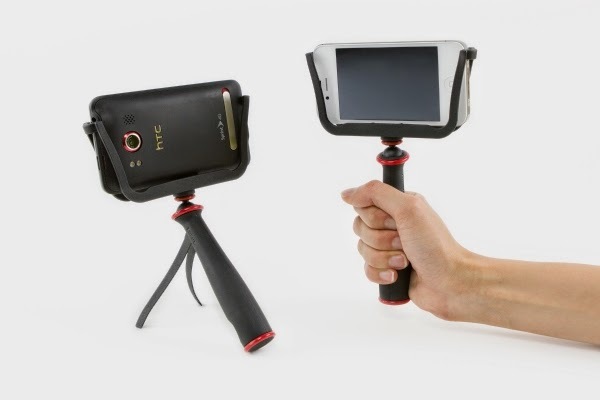 Smartphone Video Stabilizer: This stabilizing grip for your smartphone also folds out into a tripod. 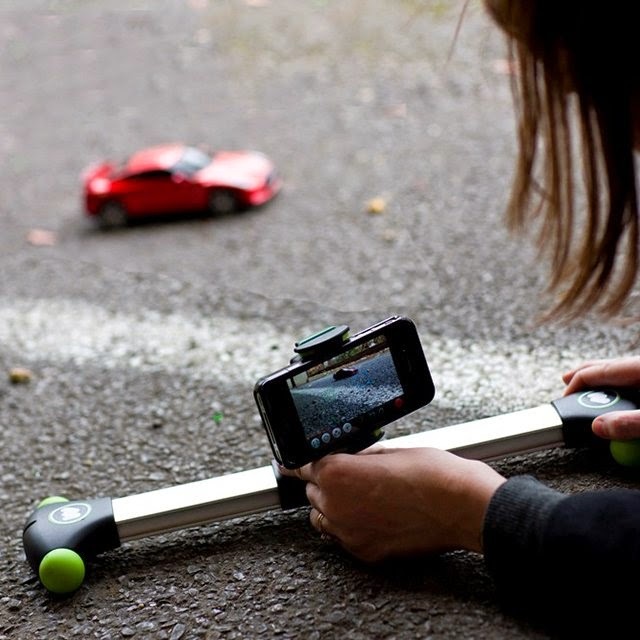 Mobislyder Portable Camera Stabilizer: This camera slider is designed specifically for a broad range of small video-enabled devices such as iPhones, smartphones, compact cameras and small DSLR cameras. 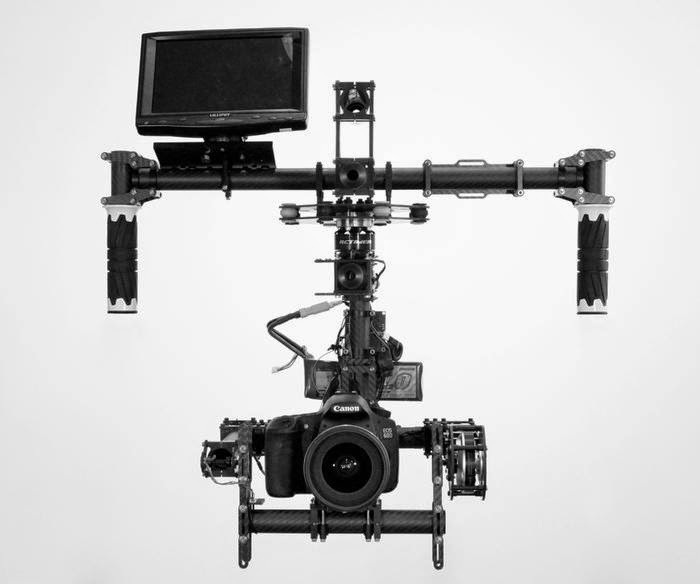 Stabil i4: Its a versatile and easy-to-use 3-axis robotic camera stabilizer that allows you to film amazing cinematic footage anywhere. XCAM Video Stabilizer: This compact device provides steady video filming from any camera with a standard tripod. 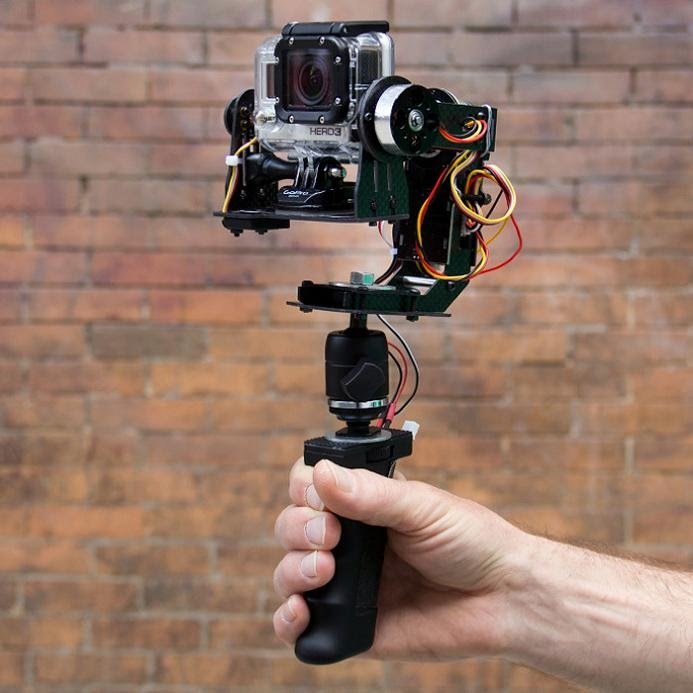 STABiLGO GoPro Stabilizer: STABiLGO is a motorized stabilizer for GoPro cameras. 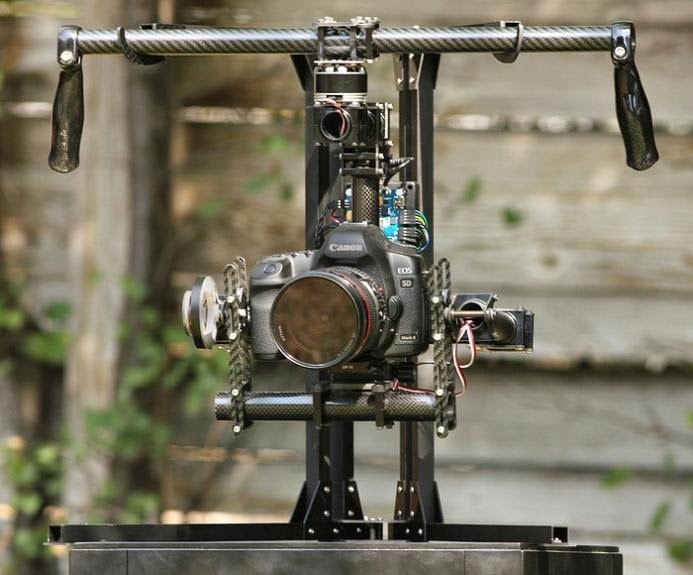 MoVI Camera Stabilizer: MoVI is a digital 3-axis gyro-stabilized handheld camera stabilizer that weighs just 3.5 lbs. Edelkrone Pocket Rig Stabilizer: This small stabilizer can be attached to DSLR cameras and provides you a good support for your camera. 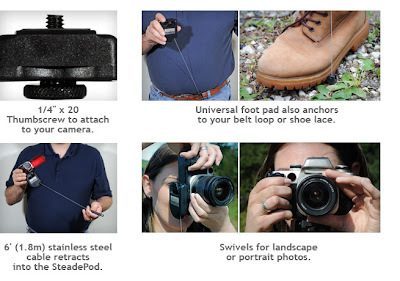 SteadePod: Simply attach this small gizmo to your camera's tripod, extend and anchor the footpad, pull and stretch the cable slightly and you have a steady photograph. 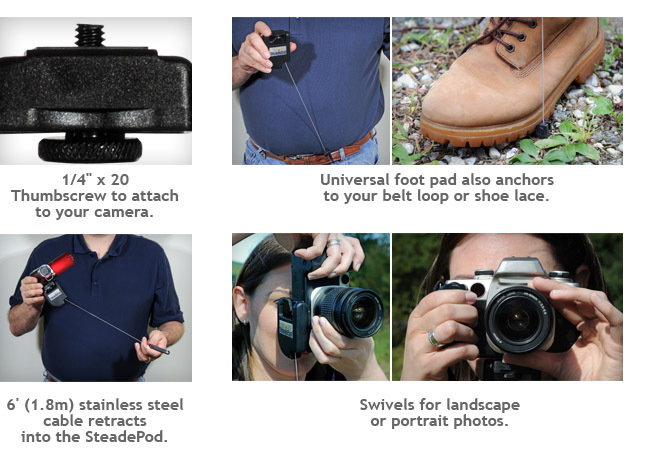 Its compact, lightweight and easy to use, lets you take photographs that you never thought you could without a tripod or monopod. 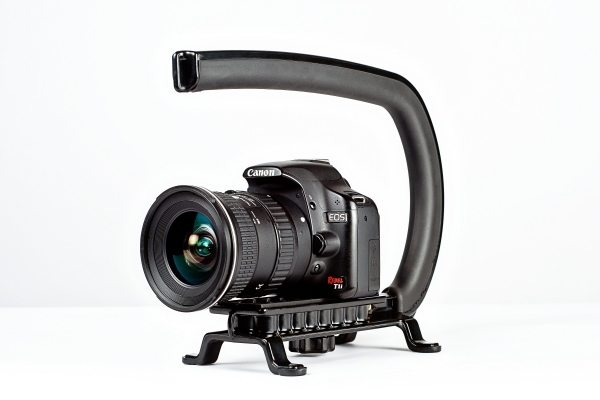 The Camera Caddie: This handheld stabilizer transforms your DSLR into a pro-quality filming machine. 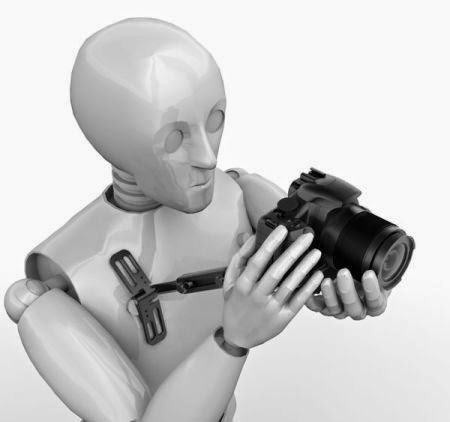 It stabilizes with the weight of your camera and can be used with any lens and DSLR body. 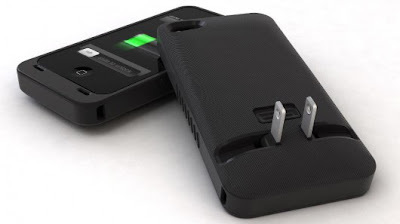 Collection of 'Awesome and Coolest Pocket Gadgets' from all over the world. 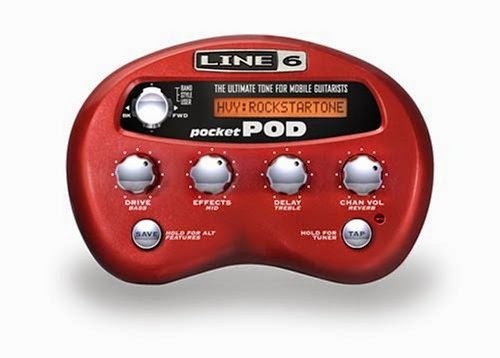 Pocketpod: The Pocketpod by Line 6 comes with 32 awesome amps, 16 cab models, 16 excellent effects, and over 300 powerful presets. 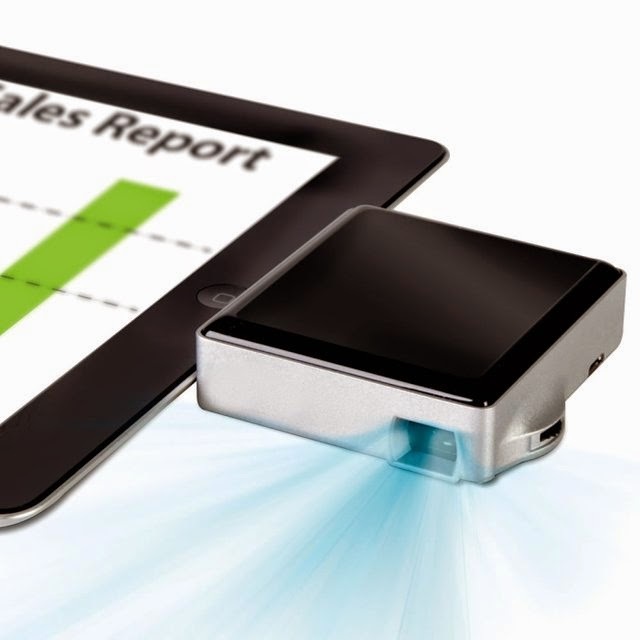 It connects to your computer via USB so you can edit your tones and access the library. 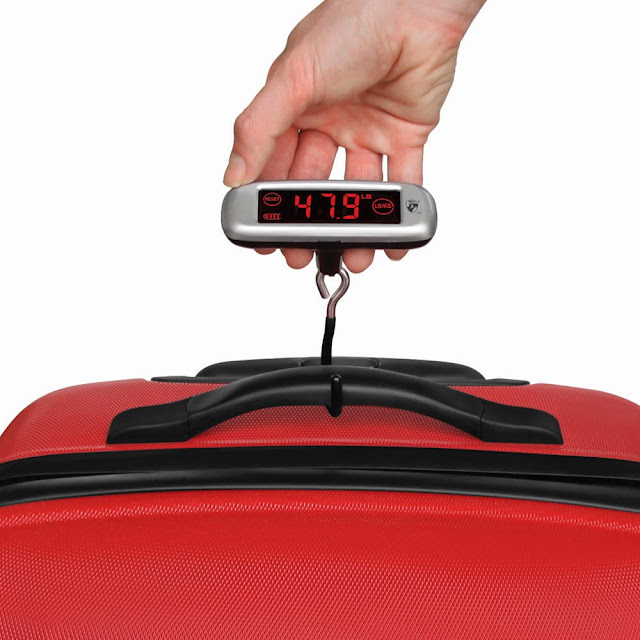 Pocket Digital Luggage Scale: This Pocket Digital Luggage Scale can be comfortably placed in your pocket, it comes with large display that registers up to 99.8 lbs; with this in your pocket you wont get overweight baggage fees at the airline check-in ever. 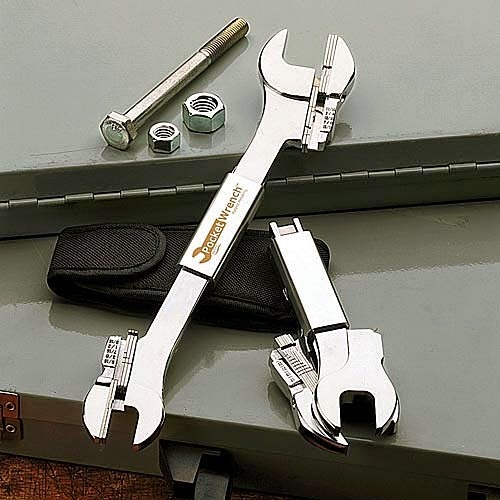 Folding Pocket Tool: It folds down to an incredible 5 x 2 x 3/4". 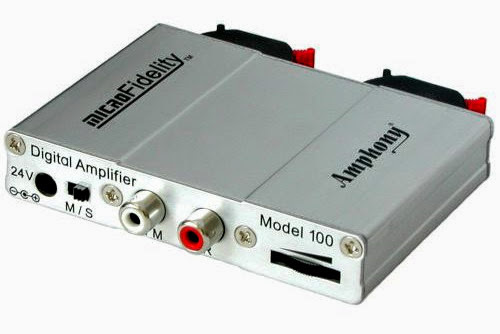 Pocket T-Amplifier: The digital T-amp produces 20WPC stereo or 50W mono with an 115dB S/N ratio. 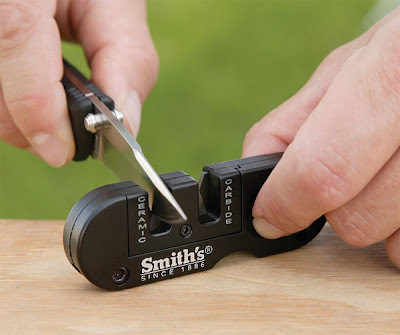 Pocket Pal Sharpener: It's a multi-function compact sharpener for tool and tackle boxes. 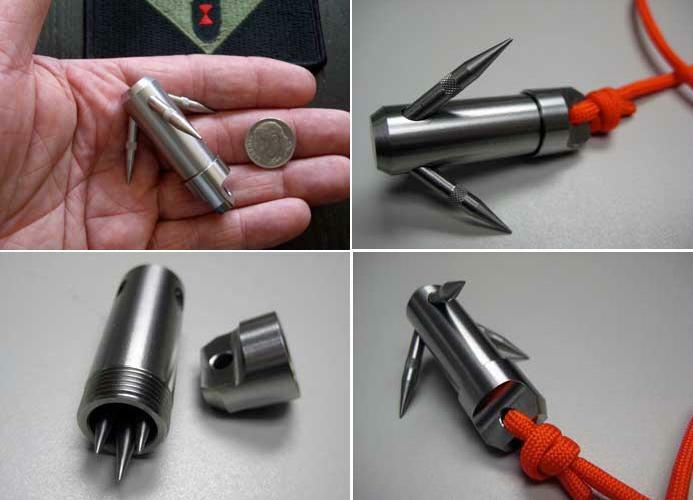 Micro Grappling Hooks: These are light weight, reusable grappling hooks entirely made of stainless steel, has a storage space, and the attachment point for 550 or smaller cord. 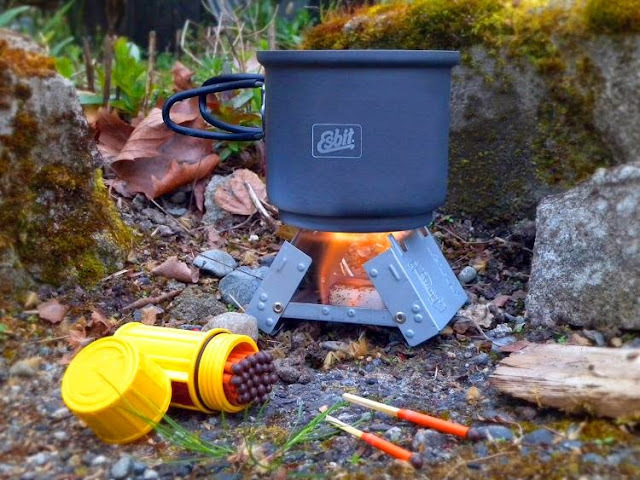 Esbit Pocket Stove: This Esbit Pocket Stove folds compact enough to be placed in your pocket. 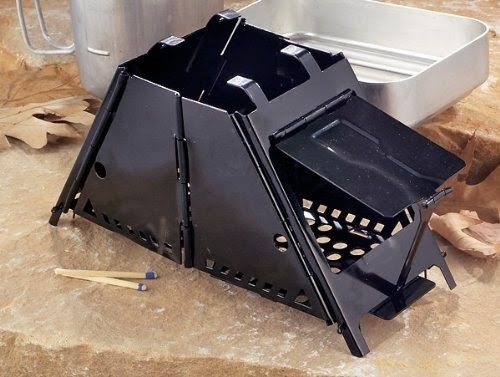 Foldable Pocket Cooker: The Foldable Pocket Cooker is best suited for outdoors and uses all natural fuel such as sticks, paper, straw or anything. 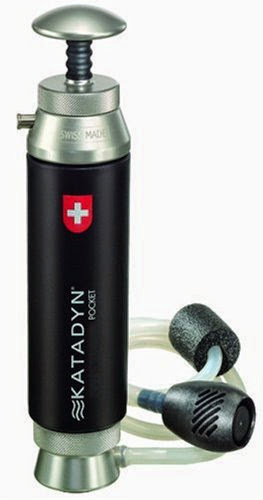 Katadyn Pocket Water Filter: The Katadyn Pocket Water Filter is designed for outdoor enthusiasts and world travelers; it makes sure that you are always with clean water. 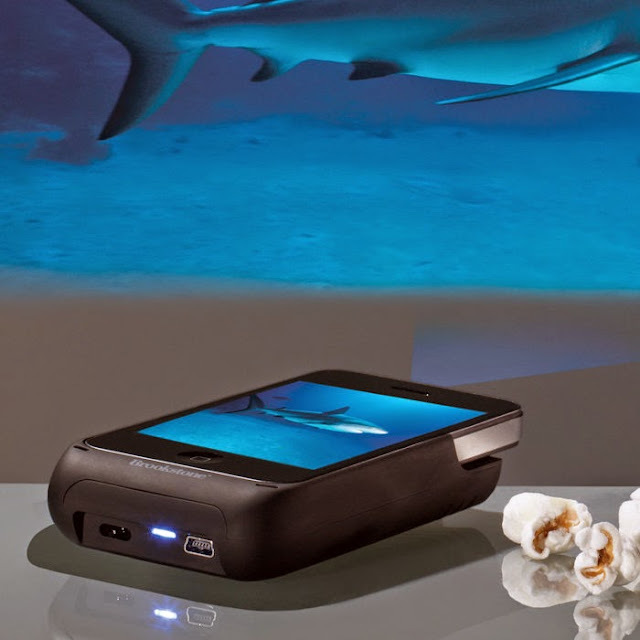 The iPad Pocket Projector: This pocket-sized projector plugs into an iPad's 30-pin recharging port, turning any space into a movie theater and instantly displays enlarged views of photos, movies, and presentations. 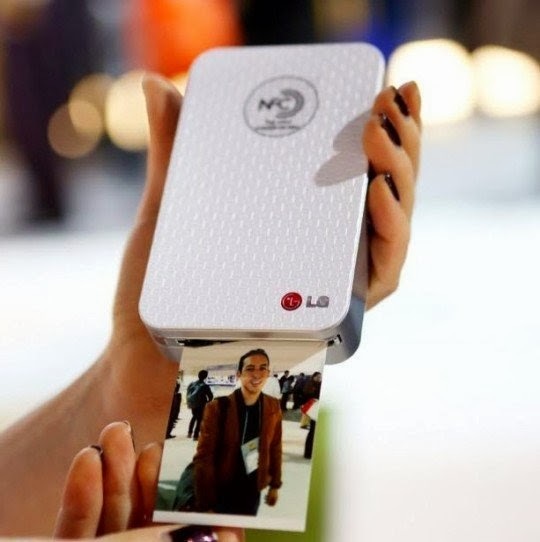 Don't miss to check out "Awesome and Coolest Pocket Gadgets - Part: 1| 2." 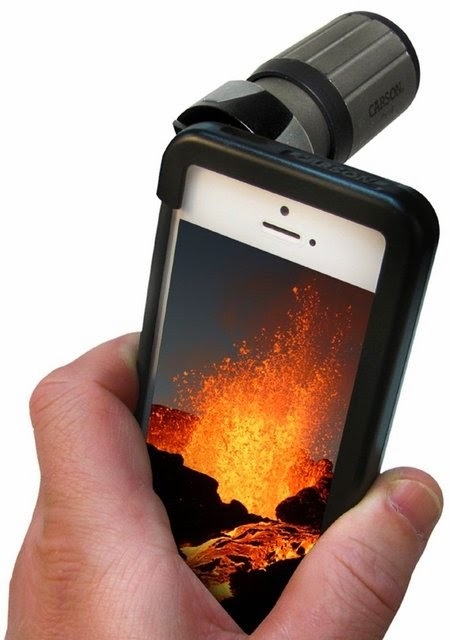 Collection of 'Innovative and Cool iPhone Adapters' for your smartphone from all over the world. 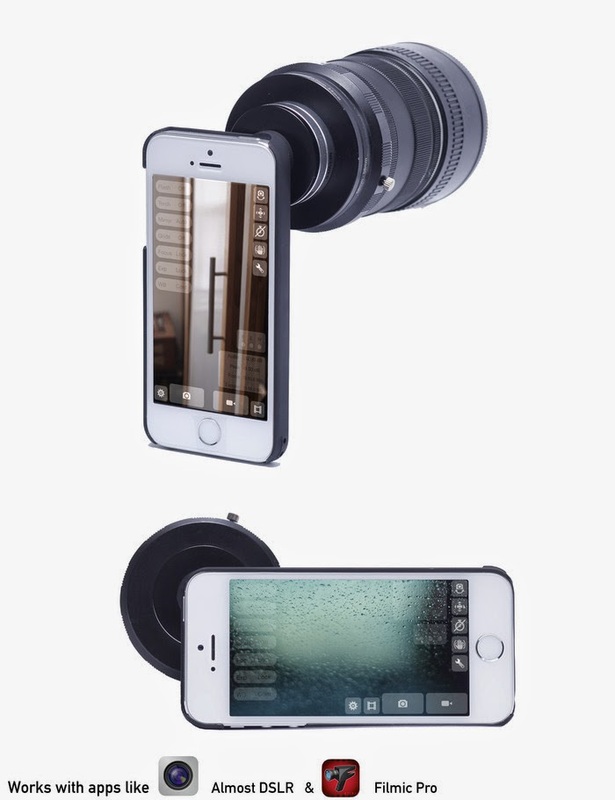 Magnifi iPhone Universal Photoadapter Case: Magnifi connects the iPhone 4/4S to your binoculars, microscope, or telescope and allows you to take pictures and video through the eyepiece. 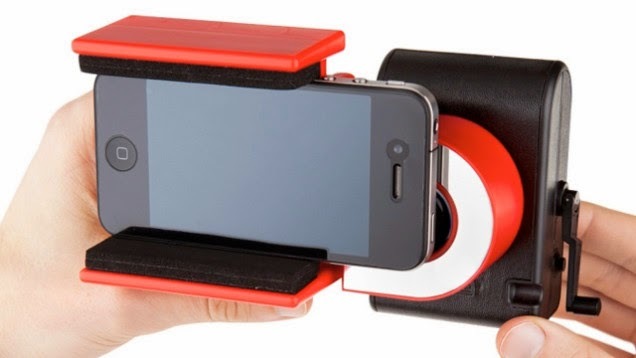 iPhone 3D Movie Adapter: The MY3D Viewer by Hasbro gives you access to 3D videos and apps with your iPhone or iPod touch. 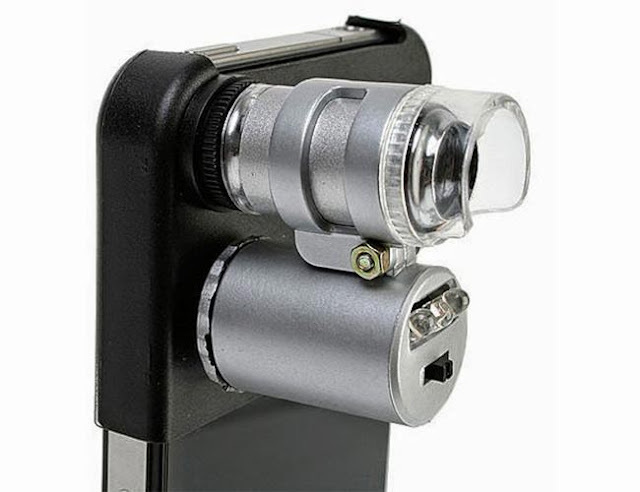 LomoKino Adapter: Simply attach the LomoKino adapter onto your smartphone and it allows you to record 35mm movies without an app. 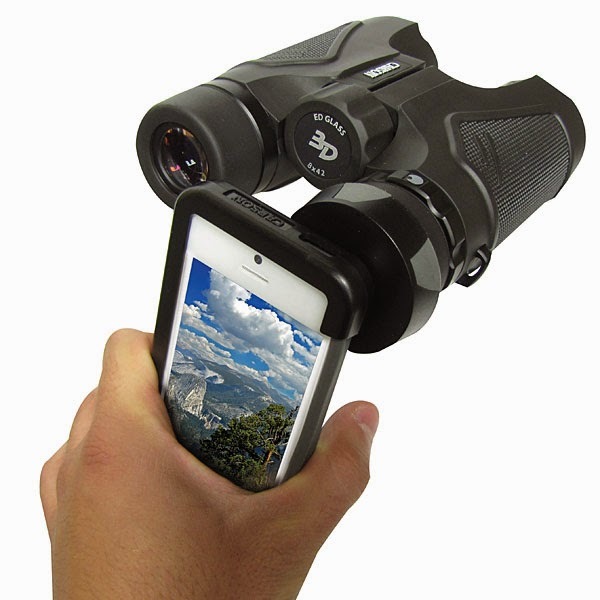 Binocular Adapter For iPhone 5: This adapter lets you connect most standard-sized binoculars to your iPhone. You can take photos and record videos through the eyes of your binoculars using your iPhone's camera. Monocular Adapter For iPhone: The Carson HookUpz adapter connects your iPhone 4/4S/5/5S to Close Focus 7x18mm Monocular and allows you to take pictures or record video directly through the monocular using the camera of your smartphone. 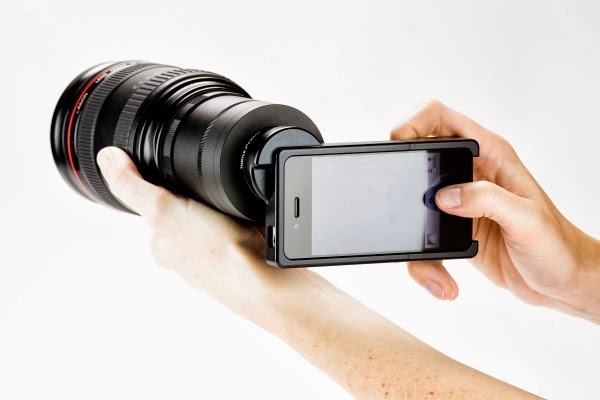 1.33x Anamorphic Adapter Lens for iPhone 5/5S: With this anamorphic adapter lens you can create widescreen films and photographs with your iPhone. iPhone SLR Case-Adapter: This iPhone SLR Case-Adapter turns your iPhone into a DSLR using real SLR lenses. 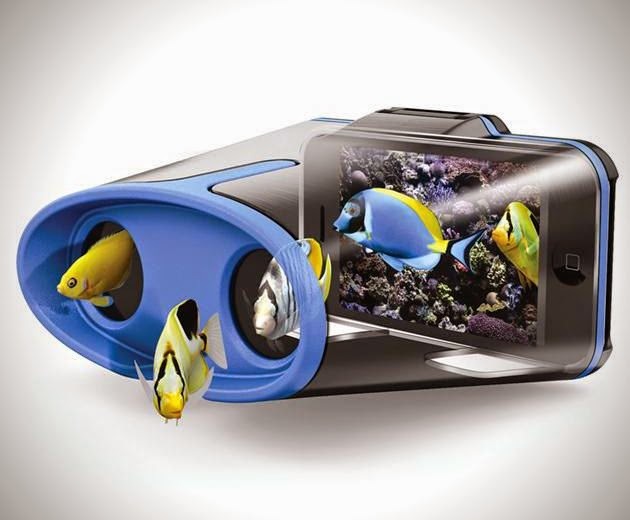 It lets you use Canon EOS or Nikon SLR lenses to your iPhone 4/4S giving your phone powerful depth of field and manual focus. 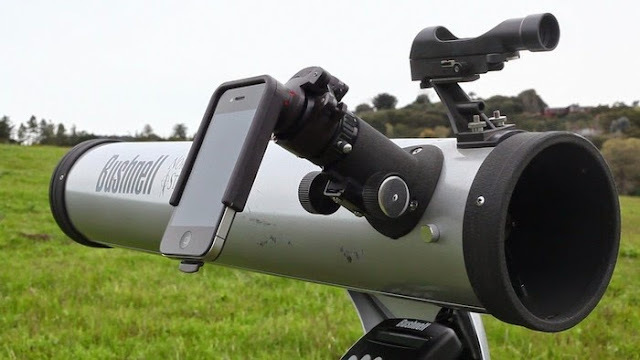 Snapzoom Universal Smartphone Scope Adapter: The Snapzoom, the universal iPhone adapter turns ordinary binoculars into super telephoto lenses. 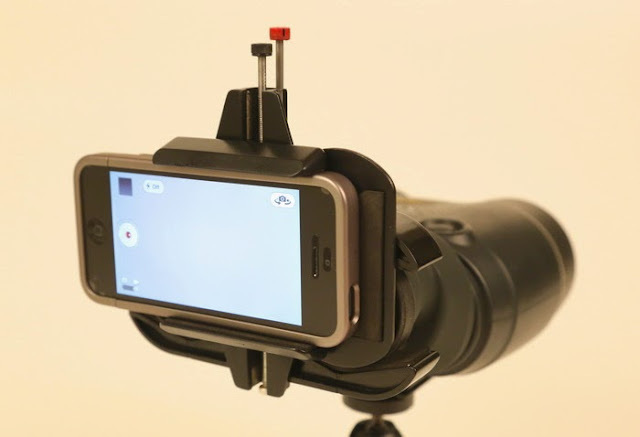 iPhone Microscope Adapter: The iPhone microscope adapter for 4/4S turns your smartphone's camera into a microscope with 60x magnification. 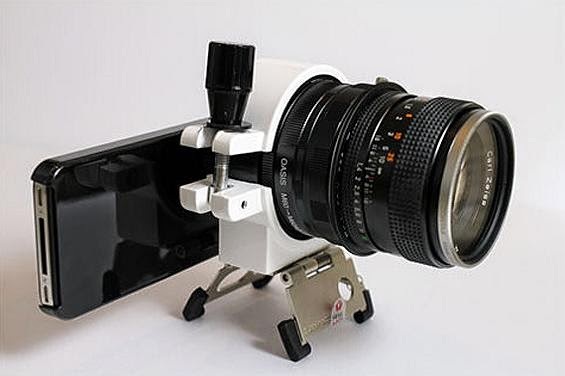 Turnikit iPhone Lens Adapter: This iPhone lens adapter allows you to use Canon and Nikon lenses with your iPhone smartphone. 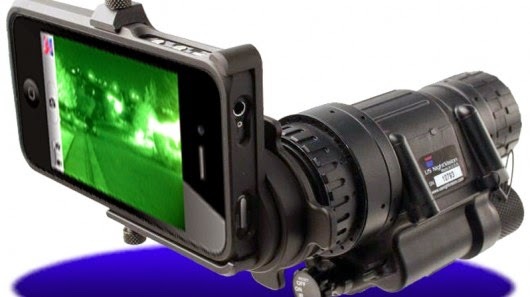 Night Vision iPhone Adapter: The Night Vision iPhone Adapter turns your iPhone into a networked night vision scope. With limited space issues, convertible and adjustable furniture is becoming a cool solution for you. 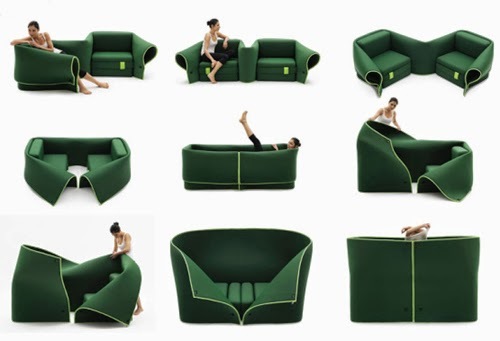 Here we have a collection of 'Innovative and Cool Convertible Sofa Designs' for your house from all over the world. 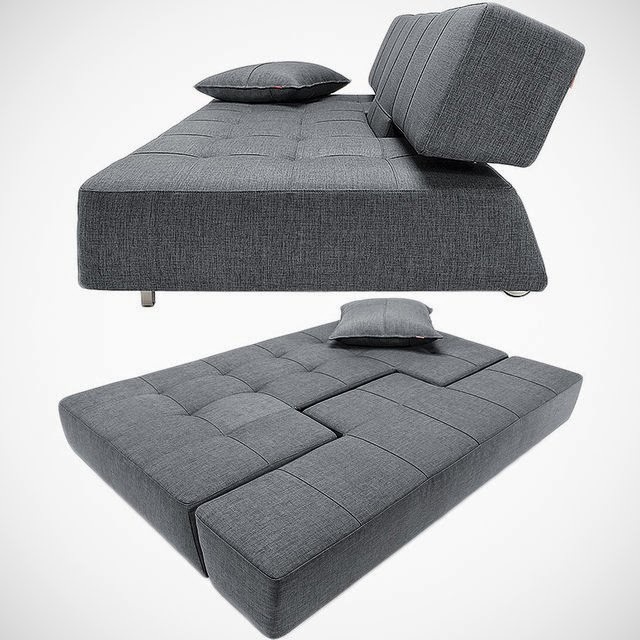 Campeggi Convertible Couch: This Campeggi Convertible Couch mechanically transforms into a bed at the touch of a button. Vento: Vento is a L-shaped sofa that's perfect for small spaces and best suited for places where there isn't much room for a spare bedroom. To transform it into a bed you need to rotate one part of the 'L' to make it parallel to the other part. 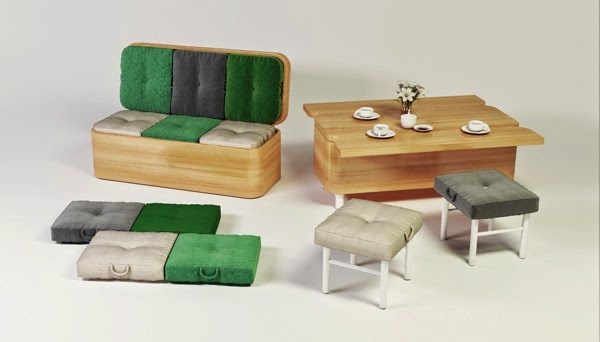 Café&Leche: The convertible sofa Café&Leche by Ebuala has flexible construction that transforms it into a sofa, a bed, a bench and even two armchairs united by useful table. 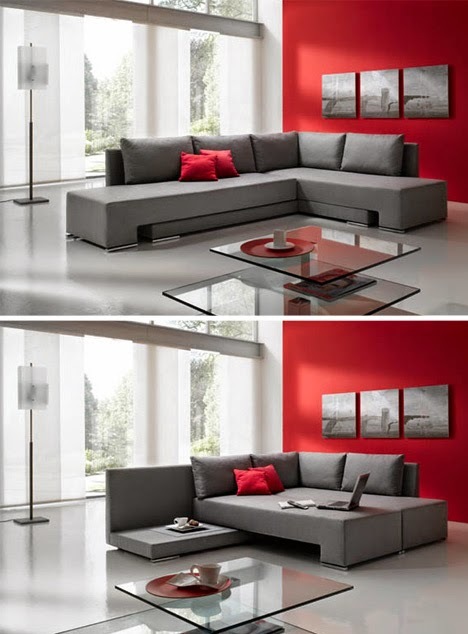 Sonia Convertible Sofa: The Sonia Convertible Sofa can be folded into a bed; its armrest cushions stay firmly in place for sitting and can be removed easily for relaxing in the sofa's flat position. Tema Convertible Sofa: The Tema convertible sofa is fashionable multi-function furniture that combines a sofa, a double bed, a double bed with a headboard, and an ottoman in one. 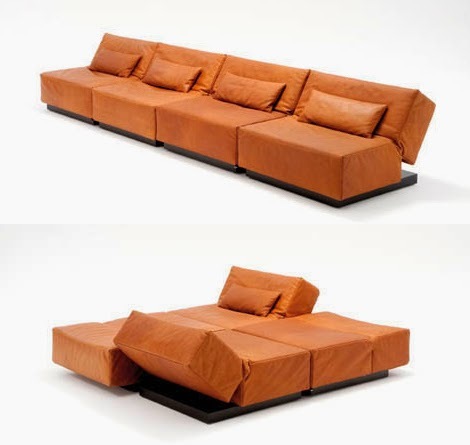 Sofa Bed by Dileto: This cool high-end leather convertible sofa transforms into a bed. Sosia Sofa: The Sosia sofa by Milan-based designer Emanuele Magini, allows you to configure its two seats and flexible fabric flap to accommodate a variety of different seating requirements and scenarios. Convertible Sofa Dining Table: The Convertible Sofa Concept by Ukranian designer Julia Kononenko can be transformed into a full 6-person dining table with seating. 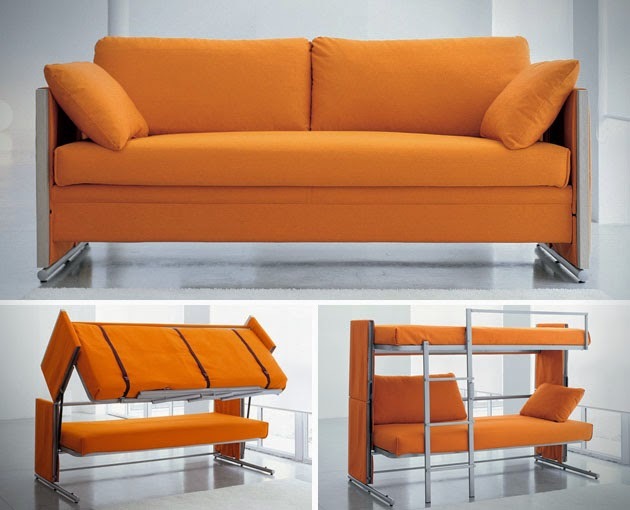 Convertible Couch Bunk Bed: This typical 3 person couch transforms into a full-fledged bunk bed in seconds. 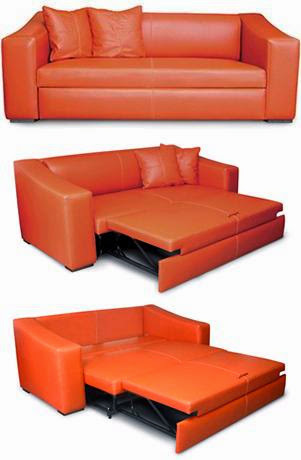 Long Horn Deluxe Convertible Sofa: This contemporary sofa with an adjustable back transforms into a full-size bed. 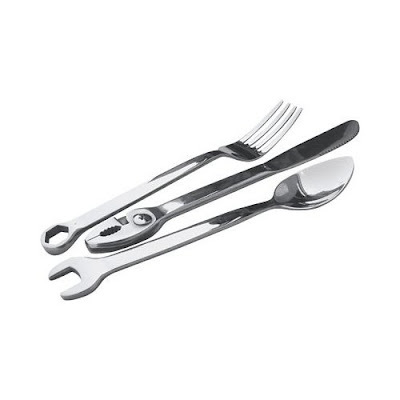 Collection of 'Creative Tools Inspired Products and Designs' from all over the world. 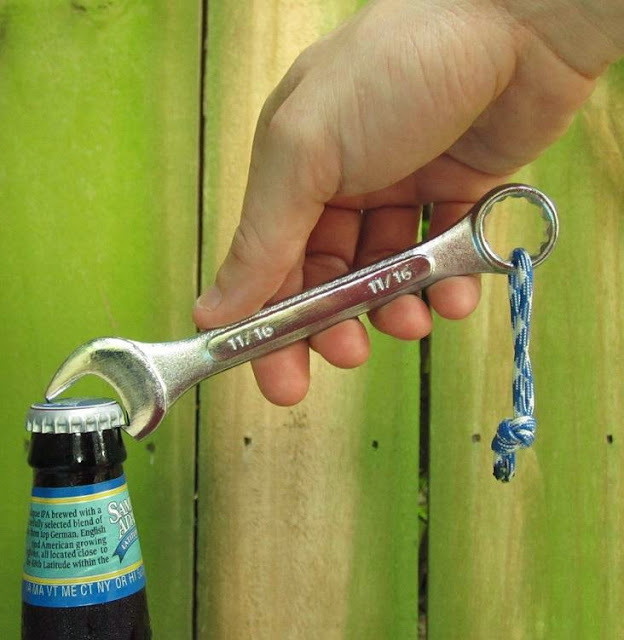 Bottle Opener: This manly bottle opener measures around 6.00" long and comes prepared with a 550-paracord strap. 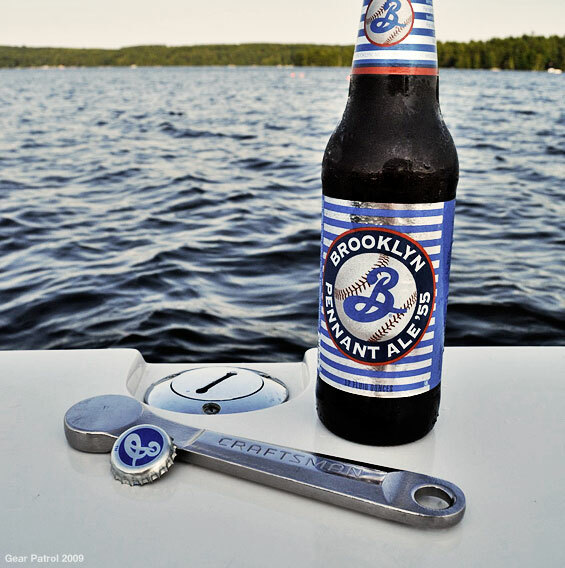 Capwrench Bottle Opener: Made from solid steel, weighs 0.64 lbs, this bottle opener can also act as a fulcrum. 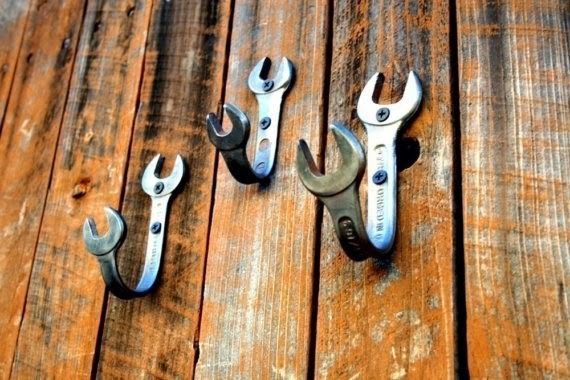 Hooks: This set consists of three hooks, made from vintage tools and each has its own unique look. 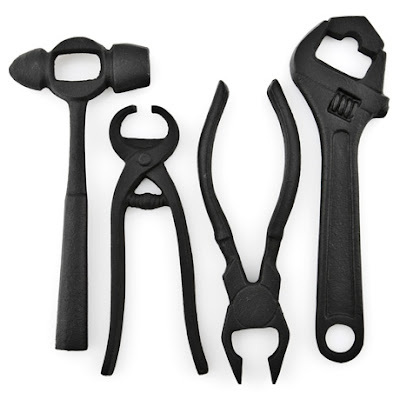 Tools Bottle Openers: Made of castiron and handmade in Japan, these cool bottle openers are shaped like common tools. 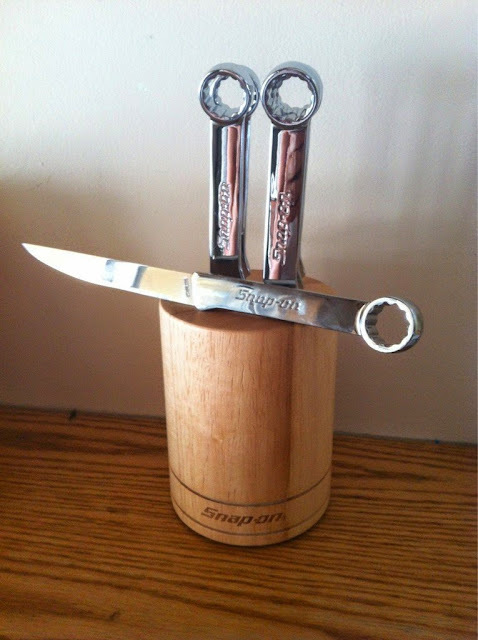 Knife Set: This stainless steel knife set takes its inspiration from tools and consists of 6 pieces. 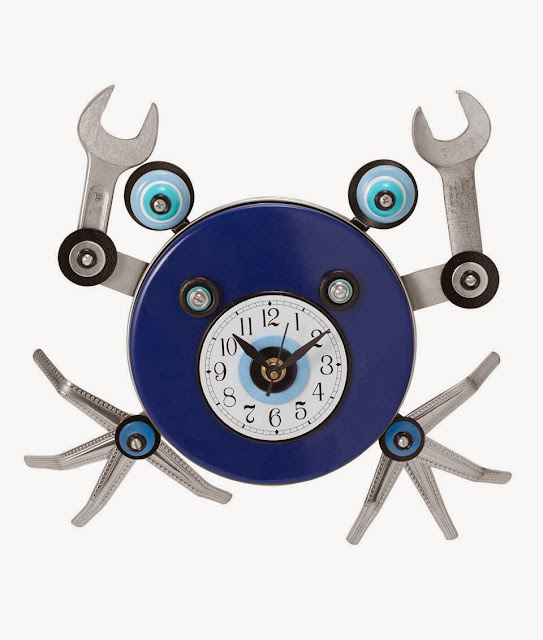 Wall Clock: This delightful blue clock is handmade from used household items in Massachusetts by artist M Brown. 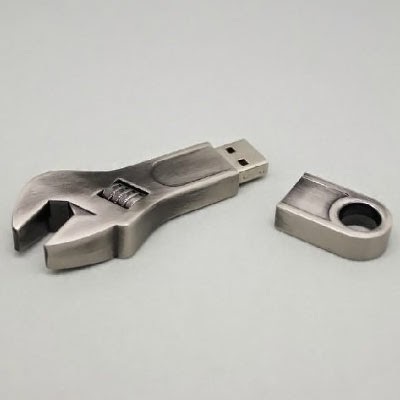 Stainless Steel Tool USB Drive: This cool USB drive has a 4GB capacity and supports USB version 2.0 and 1.0. 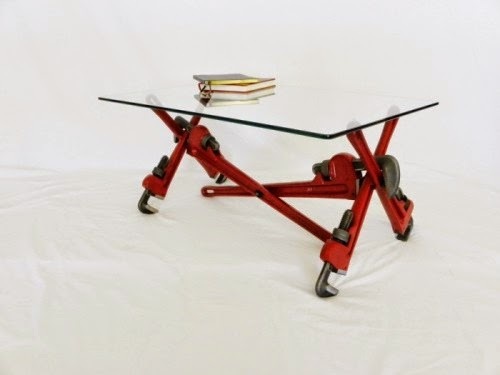 Pipewrench Table: Designed by J Niemuth, this cool glass coffee table comes with tools interlocked firmly together to provide tablelegs. 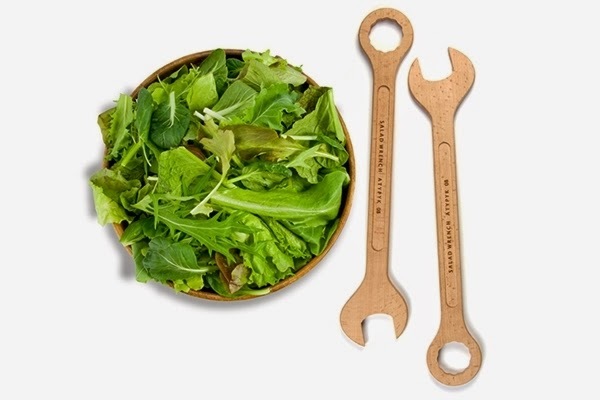 Salad Tools: Designed by Atypyk, these tool inspired salad servers are made from beechwood. 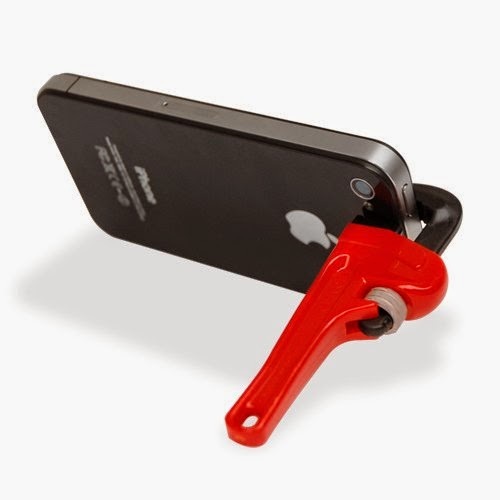 Phone Stand: Made from plastic, its working is similar to a regular tool but on a much smaller scale. Simply tighten or untighten it to support or release your phone. 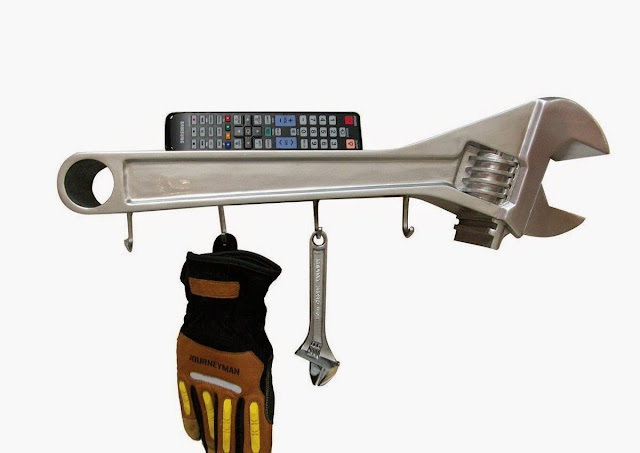 Wall Hooks: This work shelf can hold small objects on top and comes with 4 coat hooks. 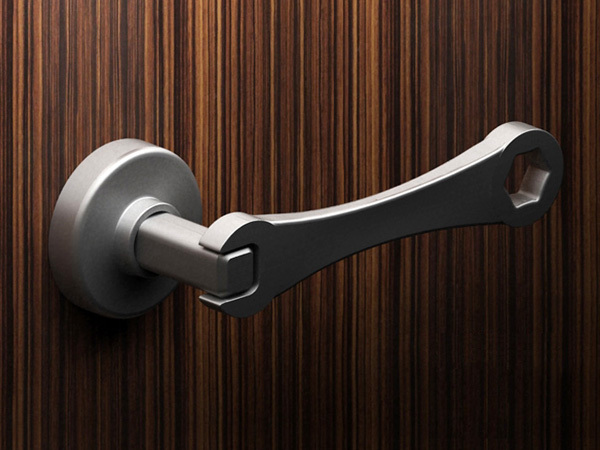 Door Handles: Cool door handles that uses the tools as handles while its functioning perfectly alright. 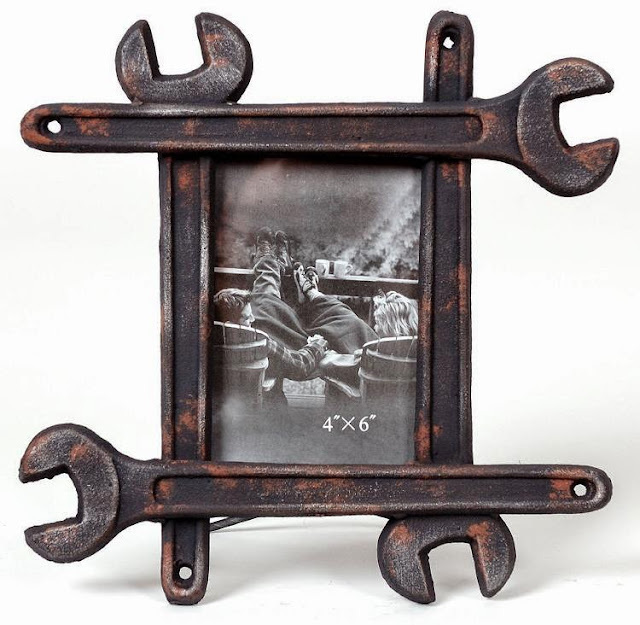 Photoframe: This tool photoframe measures 9-1/2-inch by 1-inch by 9-1/2-inch high and you can place a photo that is 4-inch by 6-inch.